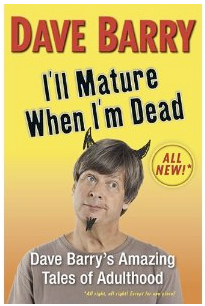 I have written about Dave Barry timing the release of his book to piggyback on mine and about how he is following me to a convention. Throughout that period, my book was selling better than his. Now, Dave has sunk to a new low in his pathetic attempt to sell his book. To try to get ahead of Warnings, he has posted a review of his book by...his brother! Unfortunately, its working! Dave's book is selling better than mine at the moment. Well, two can play this game: Mark, Phillip? I'll post your review of Warnings if you wish to write one. But, no matter what Dave does, he'll never outrank me in the category of weather forecasting! 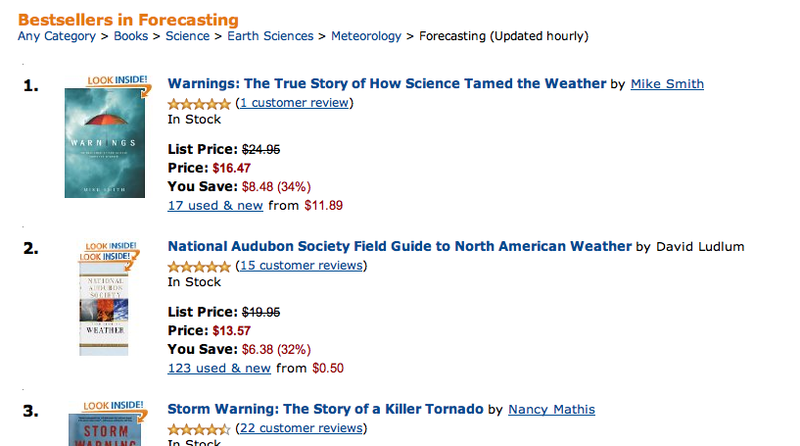 Warnings has been #1 or #2 for the last month (and, I am a contributor to the high ranking Field Guide to North American Weather).